Good news; Amazon-style shopping is available in Malaysia despite the lack of support by the Amazon.com e-commerce giant in the Malaysian region. 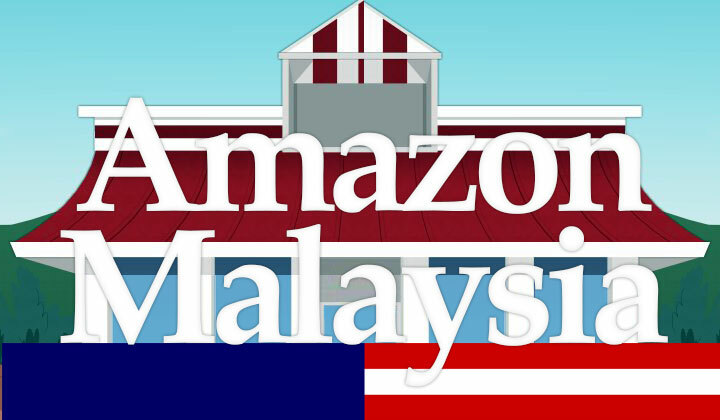 Many have asked if they can use the US or JP based Amazon for online shopping in Malaysia and the answer is that you could but there is little reason to do so if not absolutely necessary. It’s because the country has a reliable and easy to use e-commerce site that’s already dominating the market — Lazada. Most products on Amazon.com or any other local Amazon websites do not offer shipping to Malaysia or other Southeast Asian countries; especially when it comes to electronics or more specific items not fulfilled by Amazon. Also with Lazada you get free shipping; while Amazon will of course cost a fortune in sending costs to have your stuff sent from the US or abroad. Much similar to Amazon; they have a full range of products from books to fashion in stock which is complemented by a seller marketplace where you can find an impressive array of specialized items as well. It’s really the only such modern website in the country and a great alternative website to have — just in terms of pricing & peace of mind the benefits will easily win over. Lazada Group is an e-commerce giant serving several countries within Southeast Asia and commonly considered as the best Amazon alternative in the Malaysia region. The company’s operations were launched in 2012 and Lazada Malaysia was one of the first websites on it’s website portfolio. Quickly overshadowing it’s competitors on a highly progressive and mobile e-commerce market. On the same year; a Marketplace feature was opened where Malaysian businesses, from small to big-size or even individuals could sell their products through a modern seller interface. Creating an unprecedented channel for commerce to flow amongst Malaysian sellers and buyers as well as for foreign goods to enter the local market. This has greatly contributed to the success and overwhelming progress of the company in the country of 31million inhabitants. The marketplace is now estimated to cover a half of sales made through the online store. Similar to Amazon; as an alternative Lazada also carries a wide range of goods sold through their own storage facilities scattered across the nation. With popular product categories such as Electronics, Fashion for Men & Women, Home, Health, Beauty, Babies, Toys, Hobbies, Sports, Travel, Media and Automotives. Another increasingly popular section is Lazada’s own grocery store. Wide range of payment methods; Cash or credit card on delivery, Credit cards, Online banking, PayPal, Maybank instalments, Alipay and 7-Eleven. With many major companies having invested in Lazada over the years; finally in 2016 the largest stake was bought by the Chinese e-commerce company Alibaba Group Holding Limited. Reaffirming it’s continued efforts to stay on the forefront of online shopping in Malaysia; as the largest alternative and most developed shopping platform. Giving little opportunity for other companies such as Amazon to lead the market — looking for their slice of the current market boom. The site is located at the address lazada.com.my — happy shopping! Please note; some of the posts within kachi.jp contains affiliate links which may result to monetary benefit to the author. Thank you for your voluntary support of the blog! Previous Can’t Login/Sign in to Amazon: How to Fix Internal Error!